Visit "Jerez y Sanlúcar". One winery by yourself. Visit "Jerez y Sanlúcar". One winery by yourself. Visit “Jerez y Sanlúcar”. One winery by yourself. 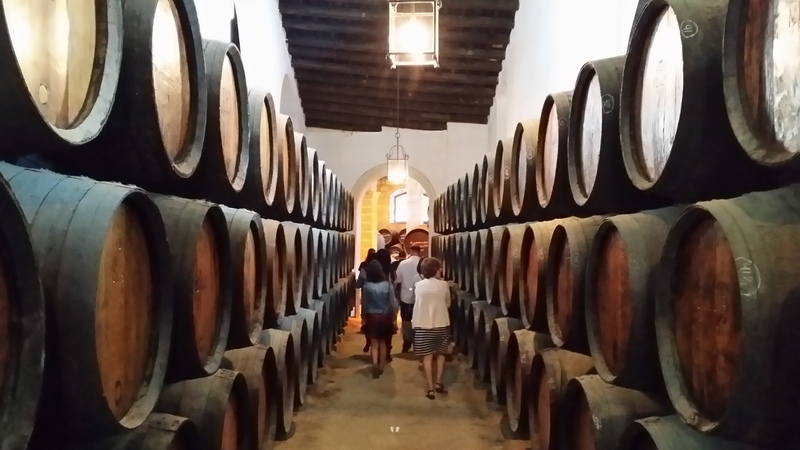 Visit the wineries from “Jerez and Sanlúcar”: one of the most historic D.O. (Denominación de Origen) in the world. These fortified wines with its characteristic aroma, taste and its unique special system in the world. It will surprise you. The criadera and soleras systems make that the wines keep the same quality every year, without influence from the seasonal wines. Why? Discover the fascinating world of wines produced by oxidative and biological aging, the peculiarity of each winery and the little differences that make possible that each wine is different from the others. Moreover, you must visit one restaurant from here and pairing your wines with the typical food from Cadiz. Visit winery in Ronda by yourself. Option 2.